Modalert 200mg X10 INSTANT RELEASE, Not Cheap Generic Brand Sale Finnish Today!! On SALE! Instant release. These will not last with University starting next week! Your Sydney Taronga Zoo ticket is valid for general admission to the zoo and the Sky Safari, the only cable car in Sydney. The easiest way to get to the zoo from central Sydney is by ferry. Not only is it convenient but it’s also a great way to get on the waters of Sydney Harbour. Undiluted (no added water or other chemicals), chemical formula (CH3)2SO or written another way asC. We reserve the right to refuse sale. We reserve the right to refuse sale. Many uses, including filling resins, artworks and the famous thermite reaction. Undiluted, chemical formula C6H5CH2OH. Benzyl Alcohol AR grade 500mL. NEED TO MAKE ROOM IN WAREHOUSE. We reserve the right to refuse sale. Also create channels, flanges and a multitude of profiles with the offset tipping dies. A generous 19” throat depth provides the ability to work the center of a 38” panel. - 1/4” Bead Forming Dies. - 3/8” Bead Forming Dies. Red iron oxide powder Fe2O3 1Kg. 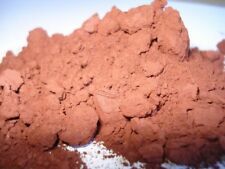 Up for sale is 1Kg of pure red iron oxide powder, Fe2O3. (Sorry, just had to get that off my chest). Expires: 30 Sept 2019. For use at: Village & Event Gold Class Cinemas. Valid: Nationally. Modalert 200m. X10 FREE POSTAGE. contact For This Month Only SALE. Condition is New. Sent with Australia Posst with tracking and signature!! Sculptamold. is a dry, white, non-toxic compound that combines the best features of clay, plaster, and papier mache, does not shrink, and is durable for dioramas, 3-D sculptures, model railroad scenery and stage scenery.After shaking closed bag to thoroughly blend contents, add water to Sculptamold. as directed on bag and begin modeling. Sculptamold. sets in 30 minutes, so prepare only as much as can be used in a half hour of modeling time. Sculptamold. clings to almost all clean surfaces and can be applied to an armature or any core without fear of cracking. Continue to add Sculptamold. by shaping and modeling layers over the armature. Even though it hardens in half an hour, you can continue to work with it as long as you have to, by adding layers of freshly mixed Sculptamold. Format: DVD (D9). No blue, ordinary DVD player can play normally. Support global players. Calcium silicide Litmus Strontium sulfate. 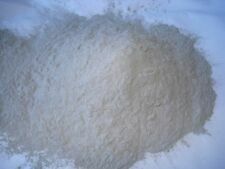 Up for sale is 500g of high purity potassium hydroxide, chemical formula KOH. Barium carbonate Hydroquinone Silver nitrate. Bismuth(III) chloride Lead granules Sodium hydroxide pellets. What you will receive:Nail MYLAR Sheet in the Colour Above - Widely used for Shattered Glass nail Art. Specifications:Mylar can be embedded into various nail work. It can be used with both UV gel and Acrylic applications. Unit is also supplied with fuel mixing bottle. The 22.5cc 2 stroke petrol engine produces a powerful 0.65KW output. Low Emission Petrol Engine. 22.5cc 2 Stroke Engine. Warranty Every Akinite product is thoroughly inspected & tested as required before leaving the factory or supplier. The warmth also decreases muscle spasms and can increase range of motion. The Cold slows down blood flow to an injury, thereby reducing pain and swelling. Cold therapy slows circulation, reducing inflammation, muscle spasm, and pain. Each Crochead™ mosquito coil holder is handmade from high grade stainless steel in Cairns, Queensland. During burning of mosquito coils it can be laid down flat, stand upright or be hung up off the ground without difficulty. Players use skill and strategy to create stacks of sequentially numbered, ascending cards (2,3,4) until they have no more left to play. The Skip-Bo "wild"cards break up static situations and may be played as any number. Extend your rail lines so your train can go places it’s never gone before. Keep your LEGO City citizens happy and your trains running smoothly! ©2019 The LEGO Group. LEGO® DUPLO® 2304 Large Green Building Plate. © 2017 Naughty Nails Australia. Listing for 100 ml bottle High quality black oxide concentrate. High concentration not watered down little bit goes a long way . Mix 100 ml to 900 ml water ( makes 1L ) Or use straight for quicker results. Seal parts with sealer also available at request or use a type of oil as a sealer or spray clear acrylic or 2 K over it for professional result Restore most metal parts to like new condition. Comes in 3 size bottles Black oxide 100 ml 500 ml 1000 ml Wear rubber gloves while handling product . 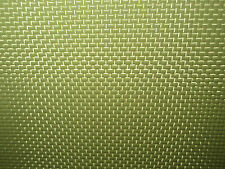 Container may differ from picture but rest assured same high quality product . There are no returns accepted on this product due to nature of product. 2 BUY CrocHead Mosquito Coil Holder. Each Crochead™ mosquito coil holder is handmade from high grade stainless steel in Cairns, Queensland. During burning of mosquito coils it can be laid down flat, stand upright or be hung up off the ground without difficulty. NEW and improved EXTREME HIGH POTENCY Smelling Salts. Our smelling salts are made from high quality crystallization grade ammonium carbonate. Each container is individually air tight foil sealed so they will never go off until use. Also included is an internal lid once the foil seal is opened. This will keep the smelling salts fresh for longer and help stop the ammonia gas from leaking. #WARNING# Container may be under pressure. Open away from face at a safe distance. Use caution at all times when opening. STORAGE: Due to the pressure the ammonia gas creates as it expands it is recommended that strict storage guidelines are adhered to. Keep in a cool dry place at all times, away from direct heat and sunlight. eg.Storage in a hot car will likely see the failure of the container as it. This easy to use sodastream cylinder filling adaptor will enable you to fill your own CO2 from your larger bulk cylinder into smaller sodastream cylinders. Finally, an easy and inexpensive way to fill your own Sodastream Cylinders at home at a fraction of the cost of getting the refills from your local store. Features: CO2 Adapter is a great accessory for SodaStream tank Fits Type 30 valve of which is the standard size found on refillable bottles in Australia Easy to screw empty CO2 cylinder (not included) into the adapter Stable characteristic and durability. Works with master bottle that has an RPV (Residual pressure valve) FIts on Standard Australian Co2 Bottle. Maxwell & Williams Teas & C's Contessa Coupe Mug 440ml Rose Gift Boxed Having High Tea with the Countess?. This range from Maxwell & Williams will suit prefectly! Having High Tea with the Countess?. 262998229256 - All in 1 Maximum Security 2019 - 2020 Android Mac iOS Windows 1 Year 3 PC. 254110960944 - ✔️Maximum Security 2019 / 2020 VOLLVERSION Windows Android iOS 1 Jahr 3 Gerät✔️. 262150635594 - ✔️Maximum Security 2019 - 2020 VOLLVERSION Windows Android Mac iOS 1 Jahr 3Pc✔️. No blue, ordinary DVD player can play normally. Format: DVD (D9). Support global players. Outdoor Connection Gas Hose and POL Regulator 1/4BSP 1.8m Long Braided. Low Pressure gas POL regulator with 1800mm hose suitable for BBQ applications, 3 way fridges and cast iron ring burners etc. POL cylinder fitting with 2.8kpa regulator. VS4500 FoodSaver Lock & Seal. Also includes an accessory hose adaptor so you can also use to vacuum seal FoodSaver® containers and vacuum zipper bags. FoodSaver locks out air & seals freshness in, to keep food fresh up to 5 X longer. General lounge invitation ?. A total of two passes available. Eastwood Bead Roller Tipping Die. This die fits 22mm shaft bead rollers. Including the 8" HD bead roller, Eastwood 18" Bead Rollers and 27" Eastwood Elite Bead Roller. Partner this Tipping die with the 20268 Polyurethane dies and produce bends up to 90 degrees. LEGO® Technic Power Functions 8293 Motorize your LEGO® Technic creations with the Power Functions Motor Set! Bring your LEGO® Technic models to life with the exciting Power Functions Motor Set. Power up your LEGO Technic creations! LARGE GARLIC BULBS x3, FOR PLANTING - SOON!.. CLOVE NUMBERS ABOUT (27-30) AND THE WT. IS 250 - 300 grams. A CULTIVAR THAT IS WELL SUITED FOR THE AUSSIE PALATE. Hot Shoe Bubble Level Cap/Cover x 1. Protect the hot shoe from scratching, dust and oxidization. Size 15mmx 4mm x 15mm. High quality black oxide concentrate. Mix 250 ml to 2000 ml water ( makes 2.5 L ). Black oxide. Seal parts with sealer also available at request or use a type of oil as a sealer or spray clear acrylic or 2 K over it for professional result. 1 x 5BILLION Double Peanut Massage Ball. This split peanut shaped massage ball is a perfect design to get to those harder to reach stabilizing muscles that surround your spine and vertebrae without applying pressure on them as you lay on it. YOU CAN COMBINE WITH 7" SLEEVES IF YOU LIKE. CHECK MY OTHER SLEEVES. MADE IN AUSTRALIA AND MADE FROM STRONG VIRGIN GRADE MATERIAL. We make our stickers with a high graded outdoor vinyl and durable inks to ensure the final product is of the highest quality. Like to discuss customised products or can't find what you're looking for on our website?. On SALE! for this week only! End 1-4 -19 Modalert 200m. Stereo Dash Surround (also known as fascia, facia and dash trim) Product Details. Toyota Hilux KUN16R, KUN26R 2005, 2006, 2007, 2008, 2009, 2010, 2011, 2012, 2013, 2014. Toyota Hilux KUN26R - Updated Dash See our other model - 2014, 2015. Contain small parts. Not suitable for children under age of 5. ©2019 The LEGO Group. LEGO® DUPLO® 2304 Large Green Building Plate. My LEGO set has missing pieces. PICK UP OPTION.